Annual Container Store Stocking Stuffer Round-Up - Details etc. Holy Santa Claus, it’s hard to believe another year is almost in the books. Hanukkah begins on Sunday and Christmas arrives in less than 30 days. Whether you’re a Black Friday ninja or a last minute shopper, not to worry, I’ve rounded up my annual sure to please stocking stuffer faves from the Container Store. First up is this handy, dandy 16′ digital tape measure which features a locking mechanism that holds the tape while your measurements are recorded and displayed on a large digital screen. You can store or recall up to three measurements with the push of a button. Best of all, there’s no math. 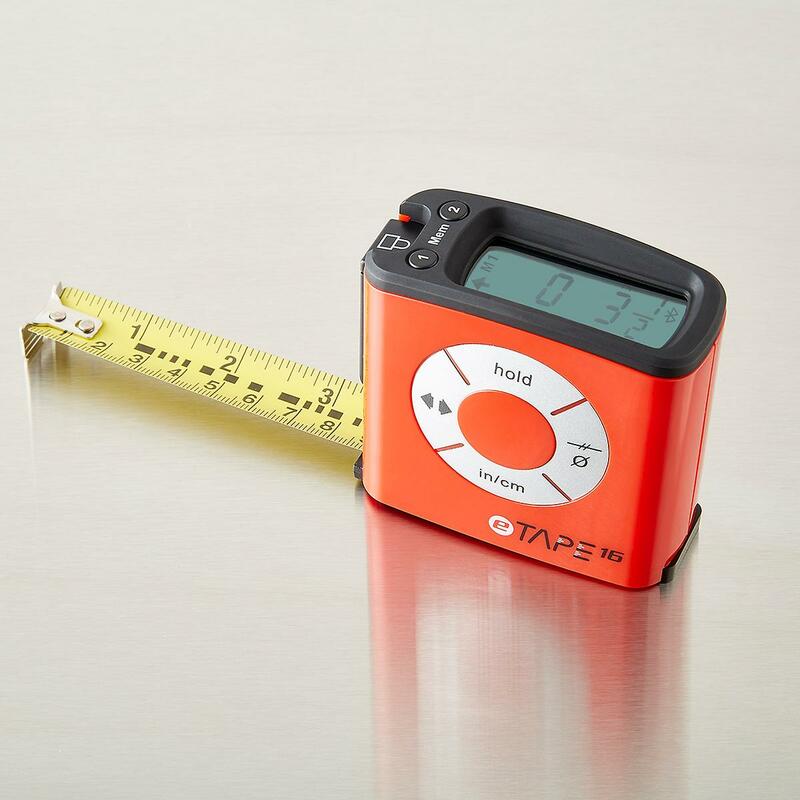 The 16′ eTAPE16 Digital Tape Measure handles that for you, quickly converting numbers from fractions to decimals, or inches to centimeters, and even calculating midpoints so hanging pictures can be a snap. Up next is a game changer if you walk your dog in the dark. 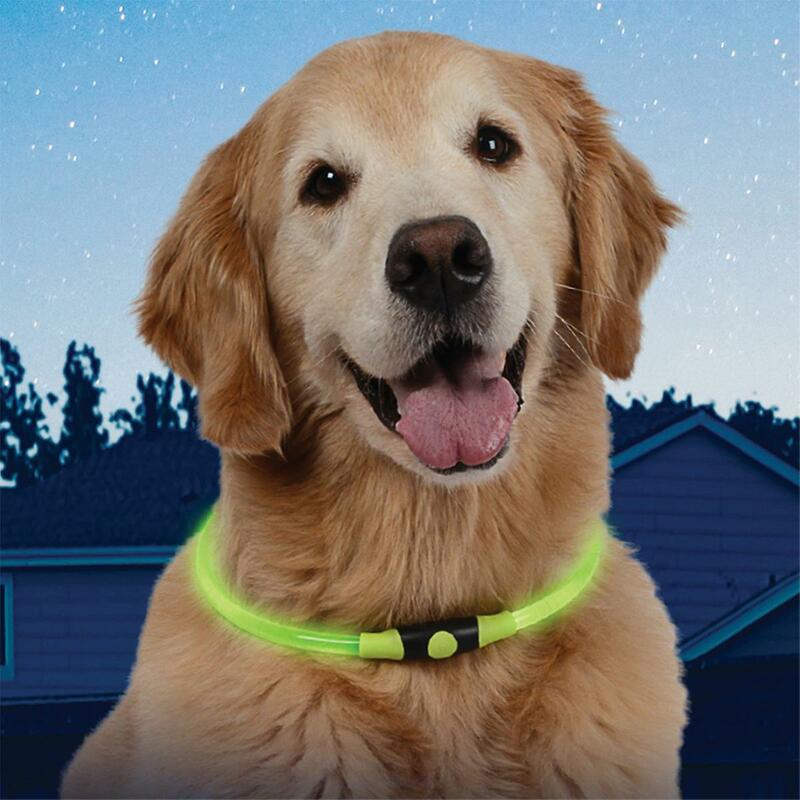 Keep your furry BFF visible at night with the NiteHowl LED Safety Necklace that lights up with a full circle of brightness. The necklace can even be trimmed to fit so it’s a comfortable safety addition to your dog’s own collar. Two settings let you choose constant glow or flashing light mode for visibility from any angle. This next gift makes me want to take a nap stat! 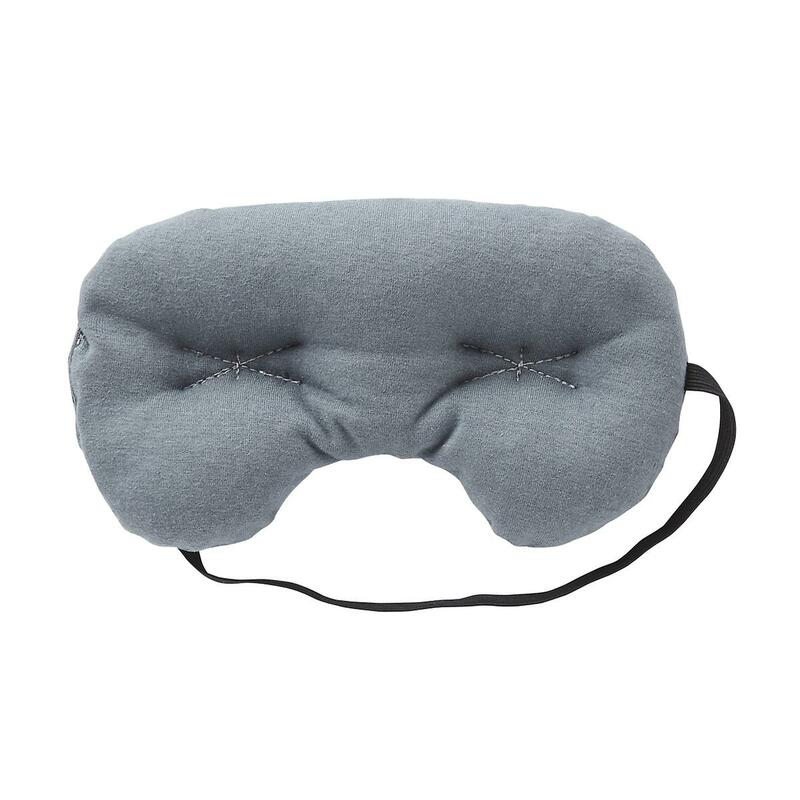 The weighted eye pillow delivers real relief that goes beyond a traditional eye mask. It blocks out light completely but also helps soothe puffy eyes and alleviate migraines, headaches, sinus pain and eyestrain. Filled with tiny ergoBeads that gently conform to your face, the Eye Pillow’s unique construction avoids direct pressure on eyes. Use it for simple relaxation or meditation, or for much-needed comfort when traveling. I’m a paper and pen list maker and doubt that will ever change, no matter what swanky new technology is still yet to come down the pike. Not to say that I don’t use the notes section of my iPhone, I just prefer a written list. 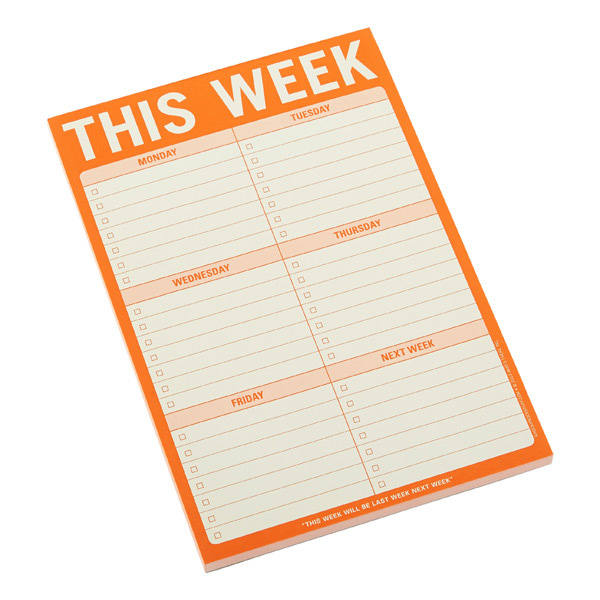 For the rest of you “old folks” here is a great way to organize your weekly to-do list. 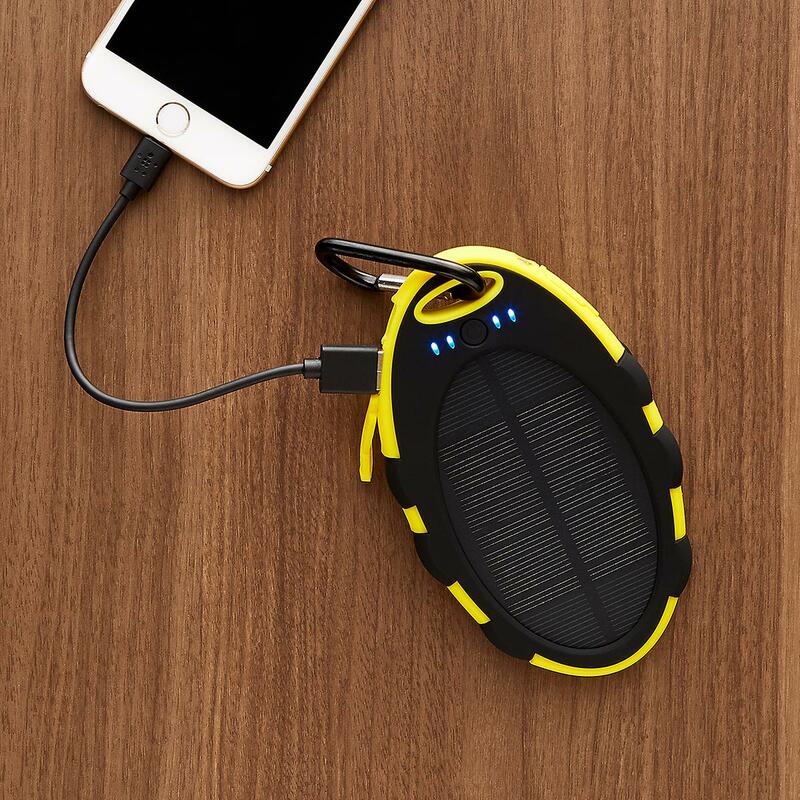 I don’t go anywhere without my portable mophie charger, but may just add this Solar Power Bank to my arsenal. This nifty product keeps your smartphones and small devices going if you don’t have access to an outlet. It charges easily via a USB cord or sunshine (may take up to 24 hours for a full charge), and features two USB charging ports so you can connect your device and provide a charge for a friend, too. When not in use, add a carabiner to the top to hang in sunlight for self-charging. Weatherproof, this rugged design even includes an LED flashlight for emergencies. Who isn’t overwhelmed with keeping track of the myriad of passwords we are constantly using (and hopefully periodically changing) in our 24/7 online lives!! 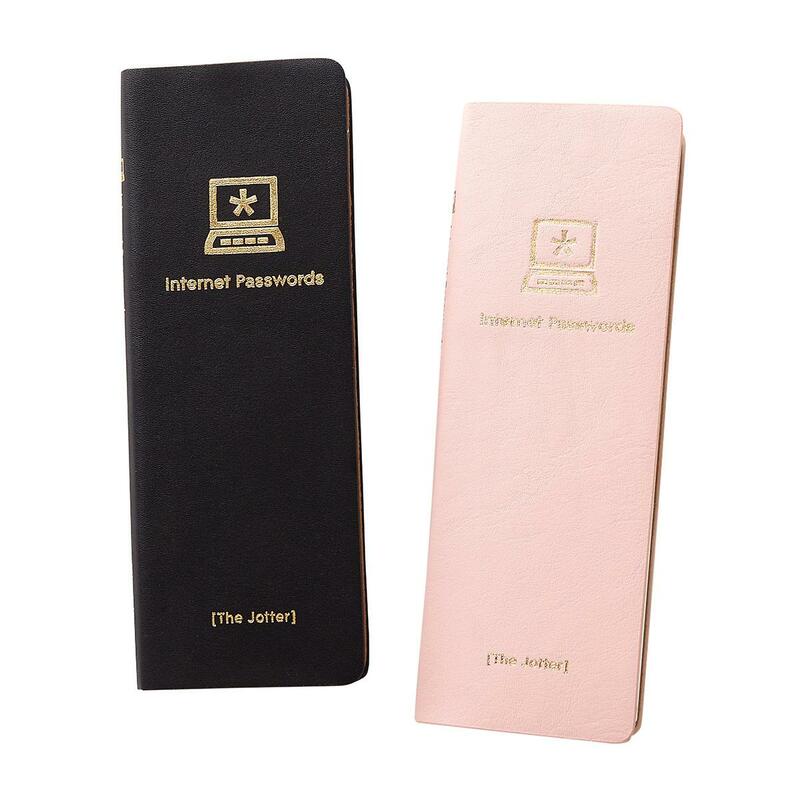 Now you may think this little Internet password keeper is just so 20th Century. I say it’s a simple and safe way to store your precious passwords. Sometimes old school works just fine…. Last, but certainly not least, is a product I’ve recommended in the past, and am still a big fan cuz they work. Keep your credit and bank cards safe from potential identity thieves with RFID-Blocking Credit Card Sleeves . These special sleeves are designed to prevent thieves from being able to remotely scan the digital information stored on your credit and bank cards. 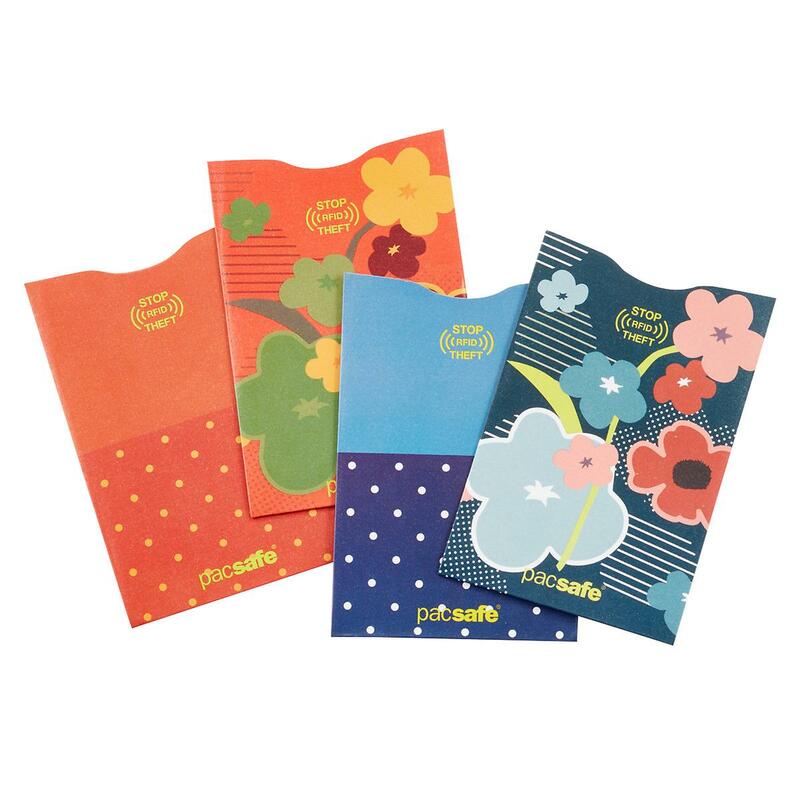 And they’re so slim and light, they easily fit in your handbag or wallet.